The same house in 2011. Photo courtesy of Realtor site. I believe this is a Sears Randolph in Bensenville. The Sears Randolph as delivered came as all brick with a stucco/timbered front gable. 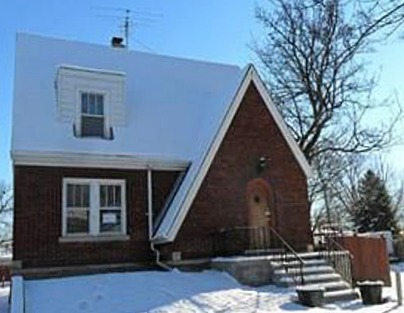 This Bensenville is all brick on the front gable. The original buyers opted not to get a fireplace. The room dimensions of this house match those of the Randolph, and the house is located right by the train tracks--convenient for unloading all the materials sent from Sears. The window placements match the Randolph on the three sides that I could see. The frame version of the Randolph was called the Willard. 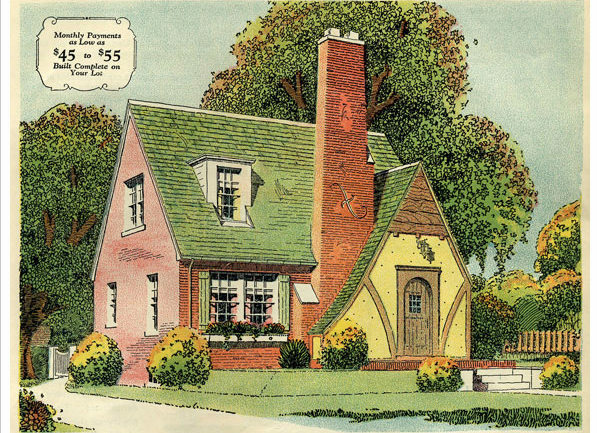 Some of the Willards/Randolphs in real life have a straight line on the front gable, rather than the curved roofline shown in the catalog. An authenticated Sears Willard at 78 S. Du Bois, Elgin, with the straight line on the front gable. Photo courtesy of Realtor site. The Randolph was sold only from 1929-1932. 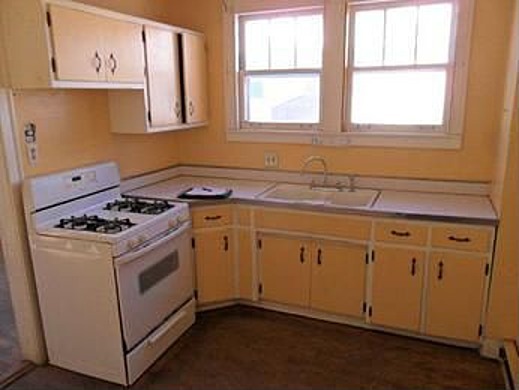 The largely original kitchen in 2011. Photo courtesy of Realtor site. Hate to say it, but the peaked roof over the dormer added with the new roof and windows is a rather elegant solution to what could be an, um, 'interesting' ice dam problem. The new windows go nicely with the brick, too. A tasteful renovation! Hope the interior wasn't gutted. Such timing! Just after you posted this blog entry, I ran across a 1932 brick-and-stucco Randolph in my neighborhood :) Wonderful find. Love seeing the kitchen, too.